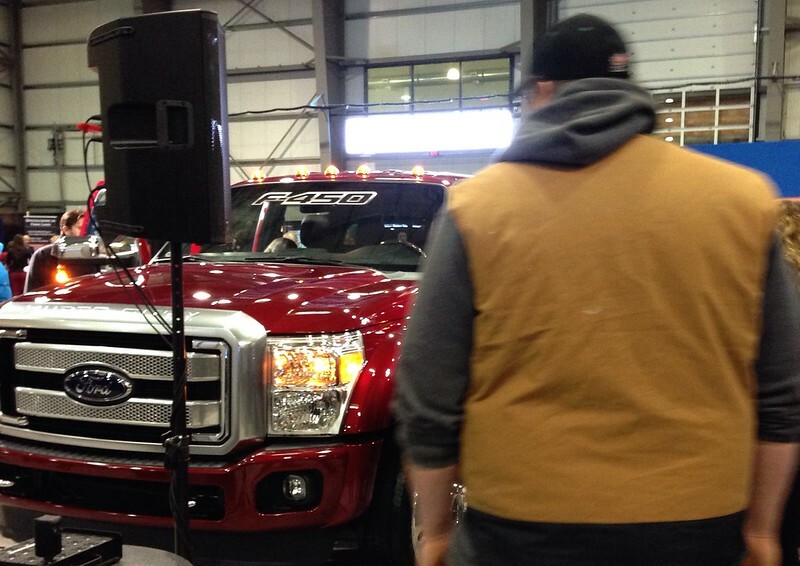 I wrote about how I went to Agribition a few days ago, but I didn't tell you why I was there. As much as I like me some goats and horses and whatnot, I'm not really a farm girl, and more than a few of you wondered what I was doing wandering around through manure. I like horse manure, by the way. I love its smell and the feel of it mashing under my boot, but that's probably because I've never had to shovel it. I wasn't at Agribition for the manure, though, either. 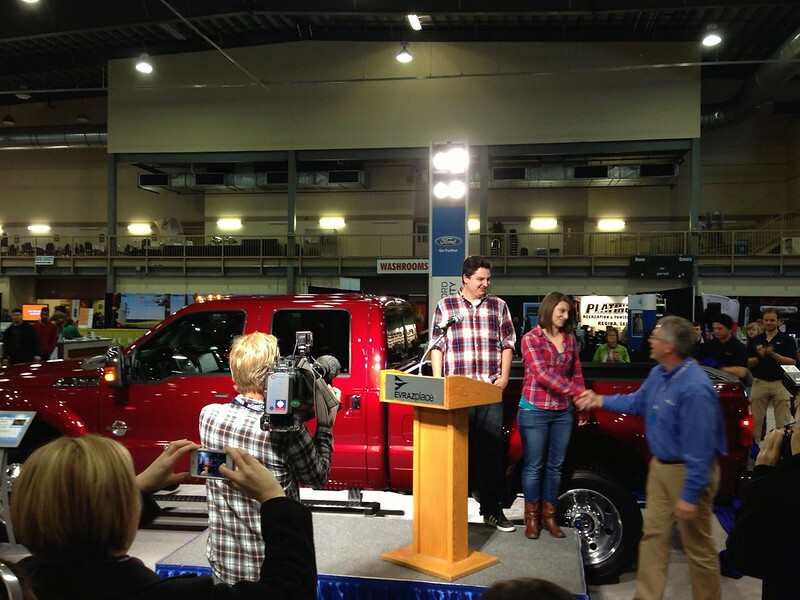 I was actually there for the first Canadian unveiling of the new Ford 2015 Super Duty truck. 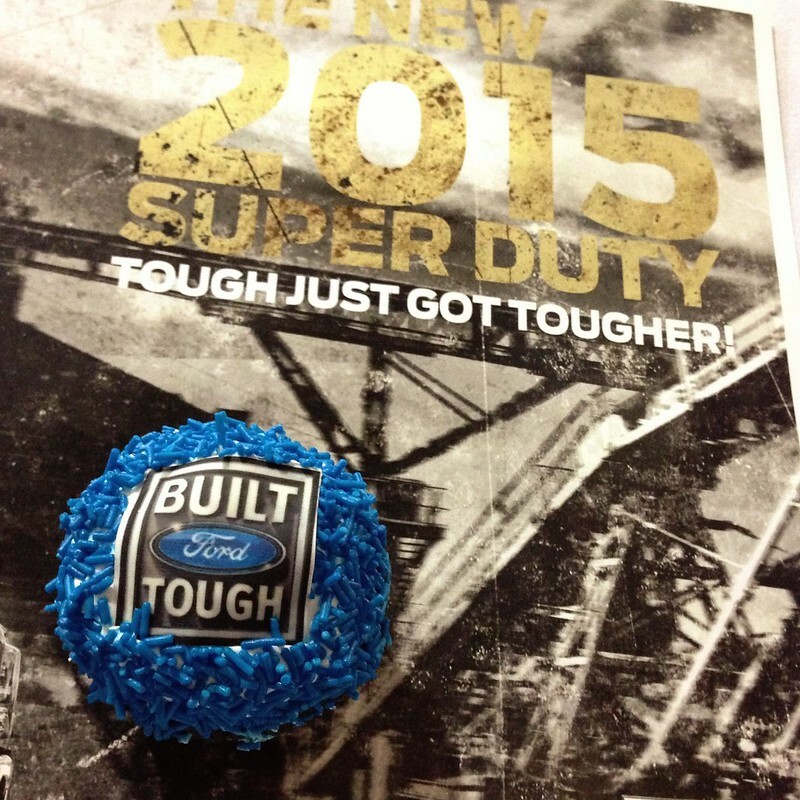 Truck unveiling with cupcakes? Yes, please! You may be surprised to know this, but I was excited to see this thing. I have developed a taste for larger vehicles with power lately, and I'm itching to get behind the wheel of one of these babies and take it out on the highway, because there is nothing like pushing down a Saskatchewan road with the whole prairie spread out under your tires and nothing to do but go. I know. I'm checking for bodysnatchers, too. I blame my Mennonite blood. 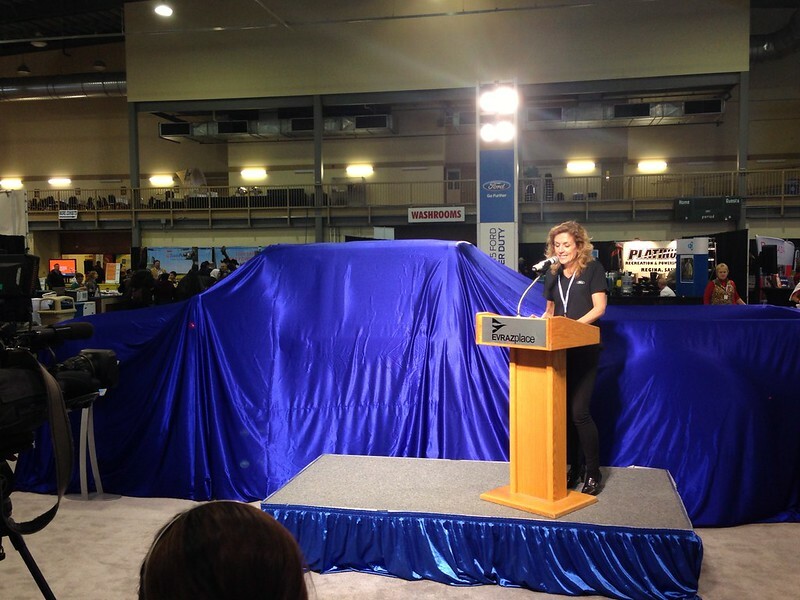 What also excited me about the unveiling of the Ford 2015 Super Duty is that a class from SIAST's Automotive Technician program was on hand to help with the unveiling. The class has the highest number of female students in the program ever at over 25%, and Ford's lead engineer for the 2015 Super Duty flew in for the event so that he could talk to them about the industry and the development of new vehicles. Ford knows how to treat the ladies. The women of SIAST weren't the only event attendees to get excited about, though. Have you met the kid pictured above, Mark Cooper? He blogs about cars from his point of view in the back seat, which I think is a brilliant approach. 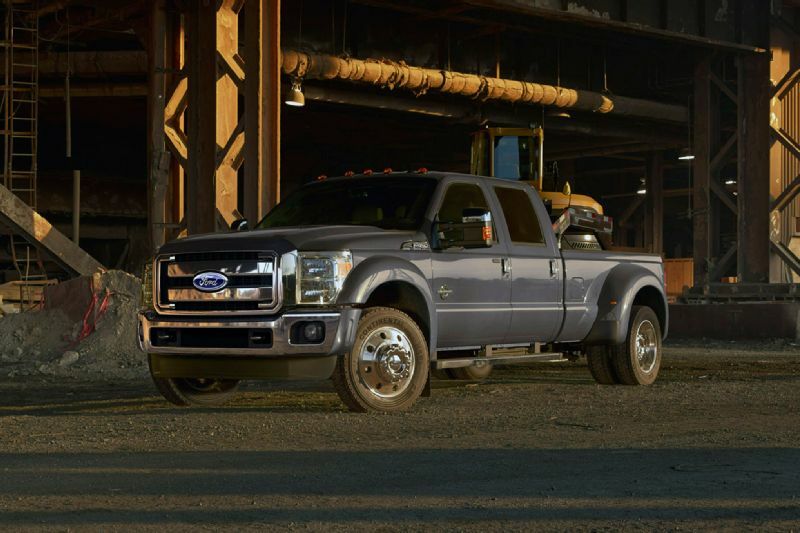 Take a look at Mark's review of the Ford 2015 Super Duty, and then take a moment to hate him just a little bit for being so awesome so young. It's exciting to think about what kids like Mark who start out so young will be capable of in this medium when they're oldsters like the rest of us. Aside from fawning over the beauty of the truck, though, I realized that I didn't get the greatest event pictures after I got home, which taught me an important lesson about large-men-heavy events: I need to be a more aggressive photographer at truck unveilings and agricultural exhibitions, because the men at these events are giants, and it was hard to see around them. Most of my photos ended up being of broad backs. My cohort, Jordon Cooper, did manage to grab some great photos, though, so check out his pics of the 2015 Super Duty. It's a handsome vehicle. Now I am going to go invent big things I need to do with this truck, because it apparently outperforms other trucks in its class, and it's begging to be tested. Maybe I can start a taxi service for Smart cars, or line the back and host an impromptu pool party at a Rider game, or maybe even do something practical like haul all my extra crap to good will and the dump. I think even this city girl can invent at least a few good ways to abuse the Ford 2015 Super Duty's power.